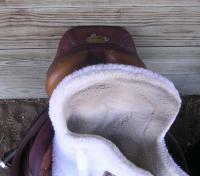 However, dry spots under the pad are a certain indicator that your saddle does NOT fit. The dry spots are caused by pressure so great that it prevents the sweat pores from operating properly. 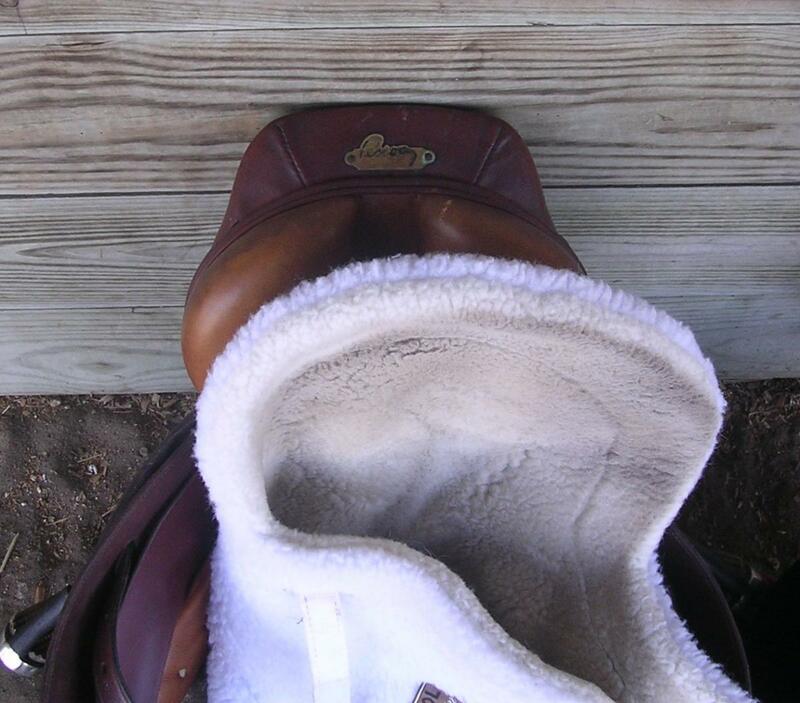 Here we present a classic image of a saddle causing terrible pressure points. 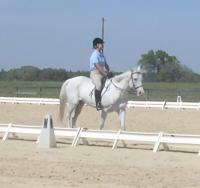 There are also pictures of the same horse, on the same day, performing as best his little body can under that saddle. Click on any picture to see a large-sized image. This picture is at a slightly odd angle. I've got a second view with outlines of the relevant areas. 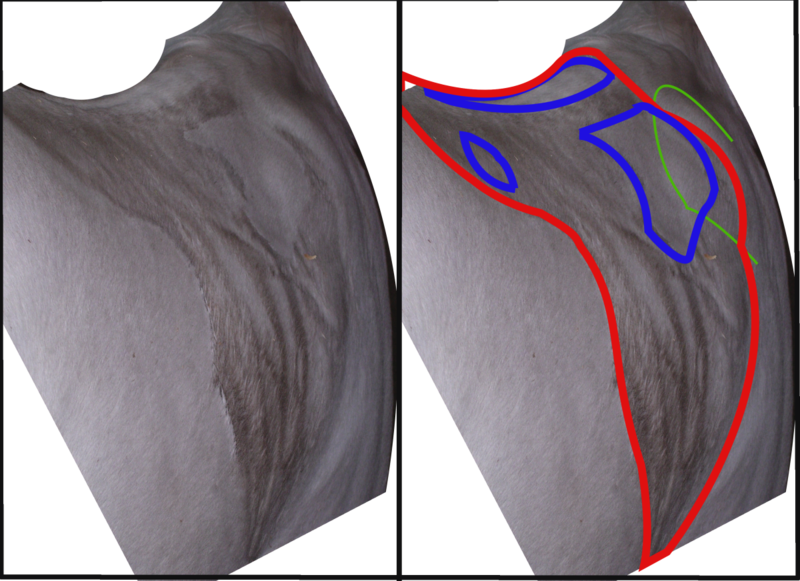 The blue areas are the dry spots (the dry along the spine is normal; the other two are pressure points). The red area is the overall outline of the sweatmark. The green area is the outline of the shoulderblade. A view of the horse himself. See how sucked in the muscle is around his spine. That's not a weight issue; that's damage to the muscles from the pressure under his saddle. The pressure is so great it makes the muscles waste away to nothing. 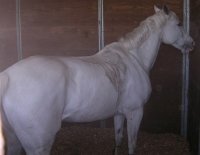 This sort of damage is permanent (unless treated); even if they change his saddle, he will still have a sucked in back. See Back Damage for more discussion. 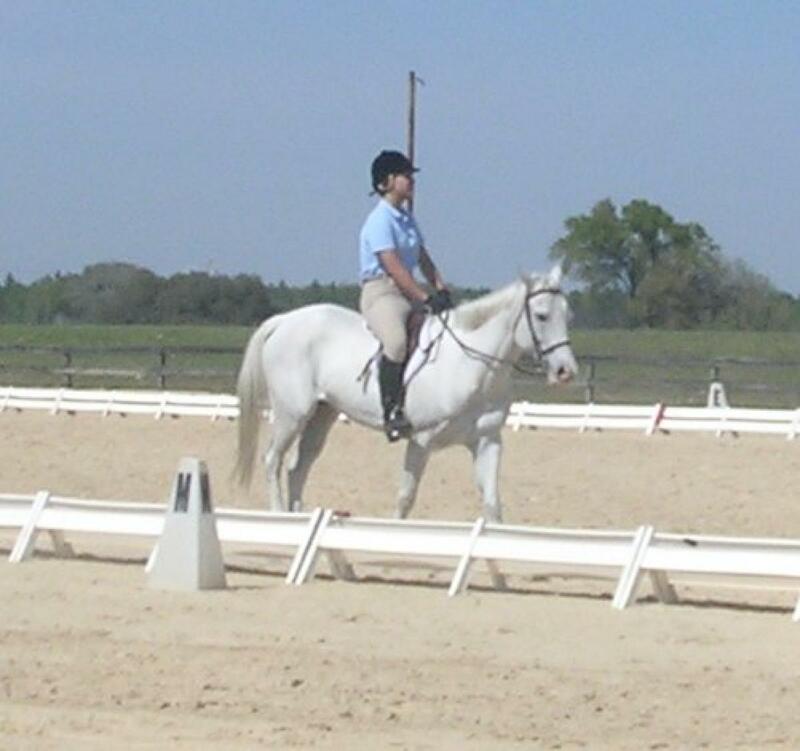 Here is the horse, wearing that same saddle, being ridden. Horses don't know that the saddle is supposed to fit. We subject them to many situations where we insist that they put up with discomfort or even pain (for example, cleaning/treating an injury). 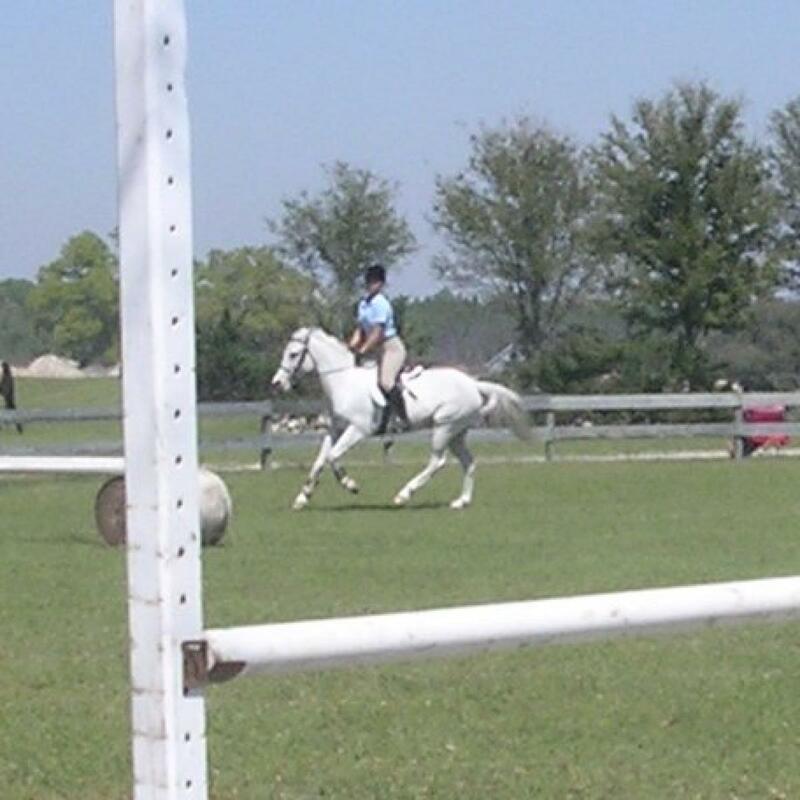 They have no way of knowing that riding is supposed to be comfortable. They simply go as best they can, in many cases in discomfort or even pain. 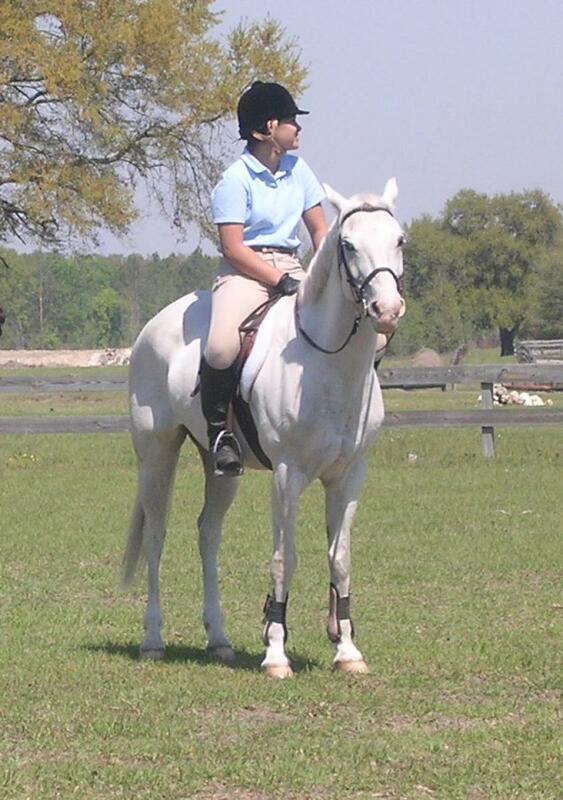 Horses can be incredibly stoic. 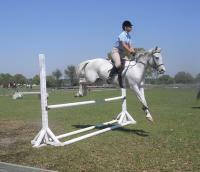 Some horses can put up with discomfort for years; some horses can put up with outright pain. Some are prevented from working to their full potential. Some offer occasional resistances which are attributed to "attitude" or "she just doesn't want to work" or "she has a problem going to the right" or [or, or, or...] Many, many, many of these resistances are entirely eliminated by using a saddle which fits better. As these pictures show, you CAN get performance out of a horse when his saddle clearly does not fit. But he will not be comfortable. He will not be able to use his back or completely relax. And every time you ride in a saddle with pressure points, you are doing more damage to the muscles under those pressure points. It is cumulative; each time makes it worse. The muscles waste away under the pressure (dips develop at the wither and therefore the shoulderbones become prominent), the back becomes more curved as the horse is constantly flexing his back out of discomfort. You're not getting your best performance. 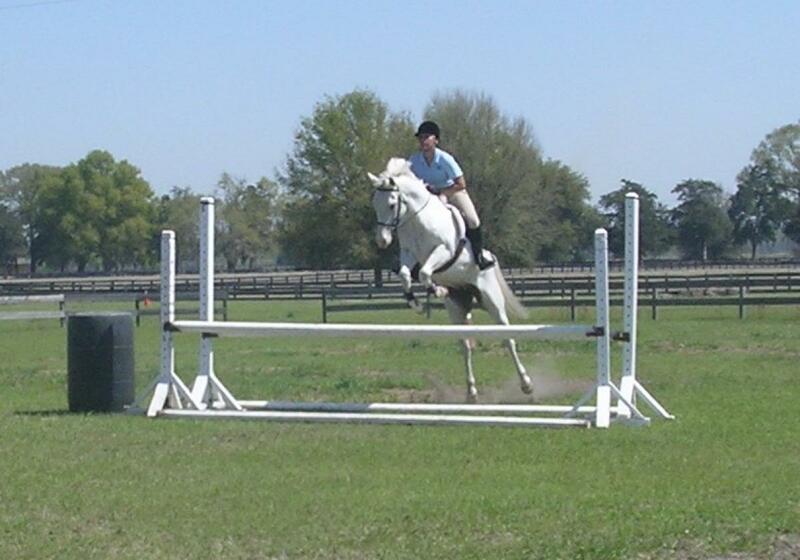 Your horse is somewhere between "uncomfortable" and "in great pain." This sort of fitting problem is only one of many. This indicator of a poor fit is only one of many. 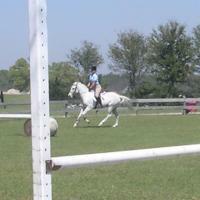 Being aware of fit, however, can save your horse much distress, and greatly improve his performance.